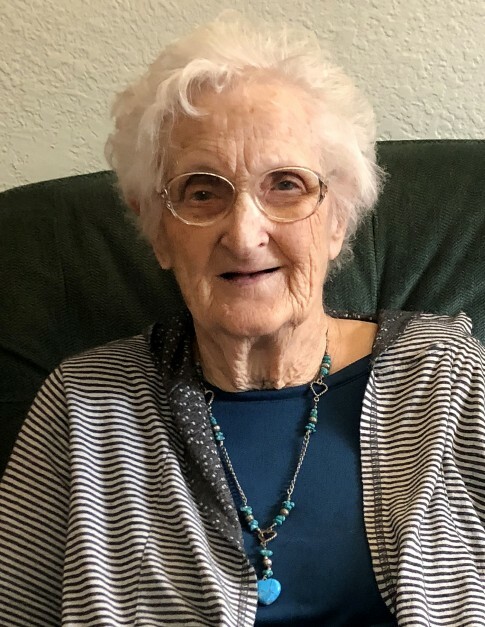 Darlene Elsie Zierke Wiese, 86, of New Franklin, MO and formerly of Newton, IA, passed away at Katy Manor in Pilot Grove, MO, on February 6, 2019. She was born Sept. 30, 1932 in Osceola County, IA, to Paul Zierke and Elsie (Koenen) Zierke. She graduated from high school in Worthington, MN. in 1950. As a young woman, she worked as a clerk at Montgomery Wards, and on June 21, 1953, she married Robert Peter Wiese at St. Matthew Lutheran Church in Worthington. He preceded her in death. In the early years of their marriage, Darlene worked as a homemaker. She was a generous and caring mother, an expert seamstress, and an avid gardener. In November 1963, she and Bob moved their family to Newton, IA. Soon after, she completed training and was certified as a nurse’s aide. She went to work at Skiff Memorial Hospital in Newton, and for more than 30 years worked in a variety of positions. She went on to work at Maytag Dairy cutting and packaging world-famous Maytag blue cheese before retiring. Darlene is survived by children Jan and Jim Fales of New Franklin, MO. ; Steve and Norma of Sioux Falls, S.D; Jim and Valerie of Ankeny, IA; Barb Hill of Kansas City, MO; Brad and Terry of Omaha, NE. ; and Shelly and Marvin Smith of Columbia, MO; as well as 16 grandchildren, 11 great-grandchildren, and siblings Daryle (Gerri) Zierke; Donna (Rodney) Scholtes; Dennis (Janet) Zierke and many nieces and nephews. She was preceded in death by four sisters, three half-brothers, a half-sister, and son-in-law, Jeff Hill. Funeral services will be held 11:00 AM, Wednesday, February 13, 2019 at Our Savior Lutheran Church, 1900 N. 4th Ave. E, in Newton, IA with Pastor Daniel Provost officiating. Visitation will be one hour prior to the service at the church. Interment will be at Newton Memorial Park Cemetery. Arrangements entrusted to Markland-Yager Funeral Home, New Franklin, MO.